Our Sweetest Jasmine Pearls produce a wonderfully scented tea that is grown and harvested in Fujian, across the straits from Taiwan. 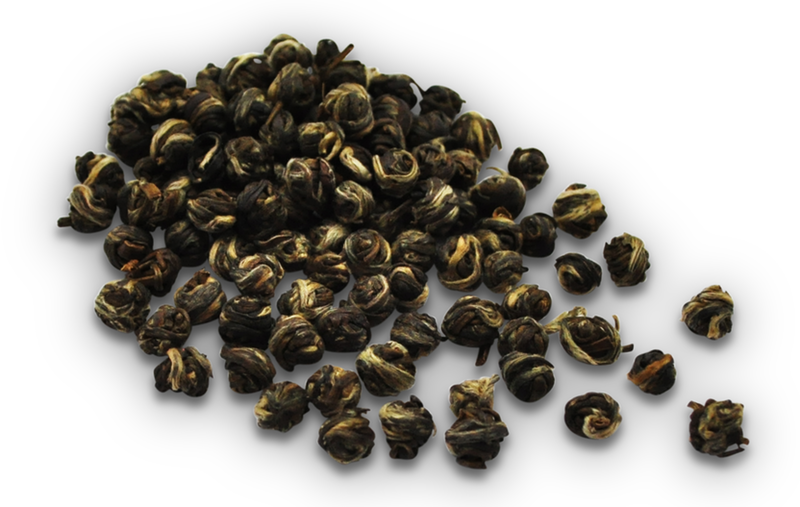 A favorite in Northern China, jasmine is the most popular scented tea in the world. Flowers and teas are mixed in environments that are temp-erature and humidity controlled with the best mixes getting scented up to seven times or more using twice as much jasmine as tea. The incredible aroma of our Sweetest Jasmine Pearls along with its remarkably light, floral taste and finish will keep the senses aroused and keep you smiling long after your cup is empty. 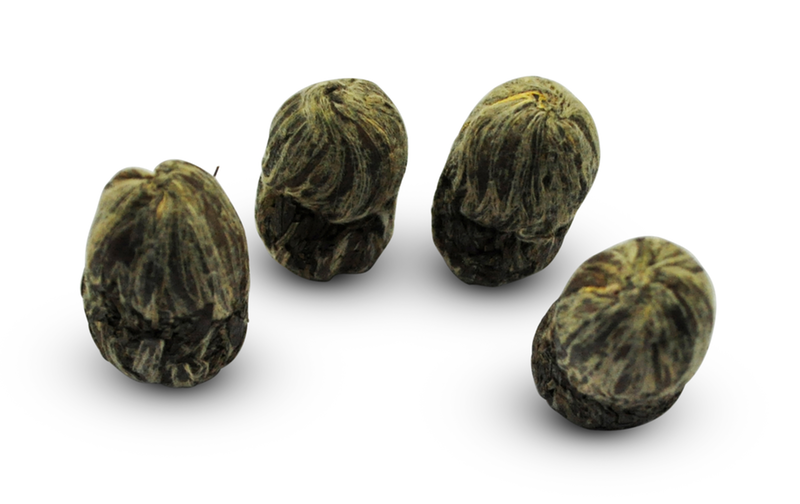 From the Fujian Province in China, our Signature Jasmine Silver Tips has downy silver buds, and is one of the finest quality of jasmine tea, which is also known around the world as Jasmine Yin Hao. After the tea leaves are plucked and steamed, the tea is infused with jasmine flowers. Once the scent of the jasmine flowers is absorbed into the tea leaves, the jasmine flowers are then removed from the tea. No artificial flavor is added, just pure jasmine scent. This process produces a balanced and delicate flavor with an intoxicating aroma and a wonderful sweet finish. 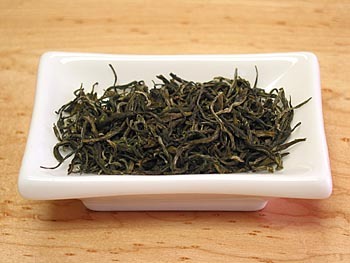 This wonderful tender leaf tea produces a refeshing, clean cup of tea with mild, sweet undertone. A blend of premium green tea and Osmanthus flowers produces a perfect balance between fine green tea and aromatic osmanthus scent. 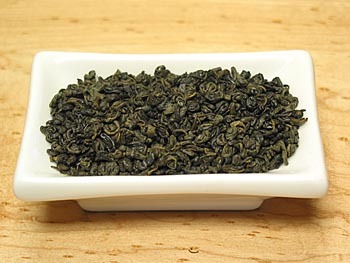 Yields a bright green infusion with a delicate, sweet flavor. Made from tender green leaves, once infused, it produces fresh, refreshing aroma with smooth aftertaste. 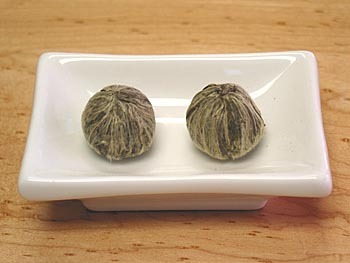 Crafted by skilled artisans, delicate green tea buds are carefully hand-tied into small balls at approximately 1" in diameter. 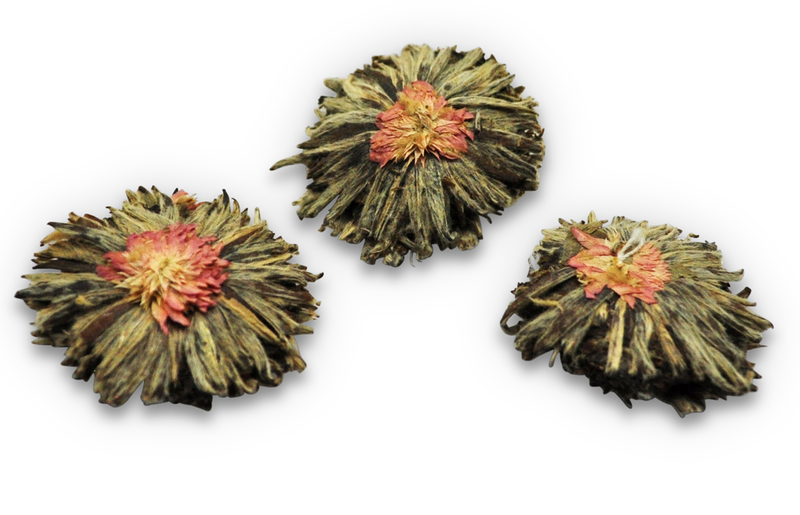 When infused, the tea rosette unfurls into a delicate blossoming flowery shape. Brew it in a glass cup and watch the tea unfurl. A perfect way to impress your friends with this exquisite tea. Crafted by skilled artisans, delicate green tea buds are carefully hand-tied into small balls at approximately 1" in diameter. 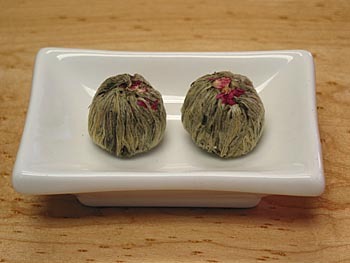 When infused, the tea rosette unfurls into a delicate blossoming flowery shape with a red flower slowly emerges from the center of the tea ball. Brew it in a glass cup and watch the tea unfurl. A perfect way to impress your friends with this exquisite tea. 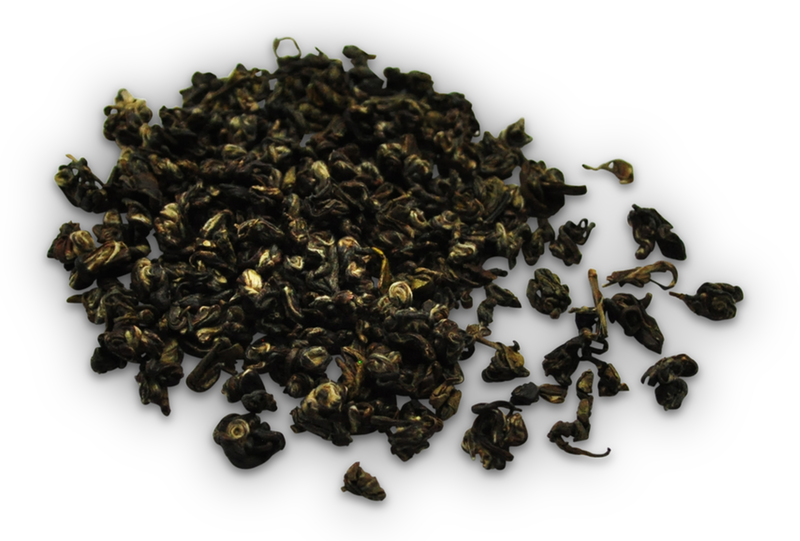 Our Pi Lo Chun Royal is from the Fujian province of China. It is hand processed and consisted of the finest tender buds. Pi Lo Chun is also known as "green snail spring" which is refered to its distinctive spiral shaped leaves. 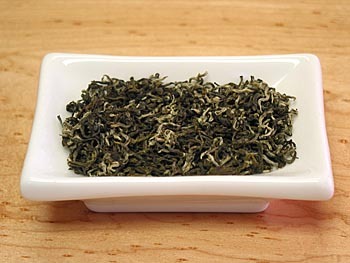 This unique tea is produced in a very short span between March and April. Yieds a bright, delicate, sweet flavor. 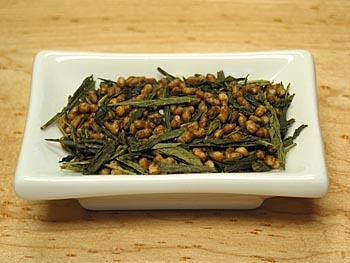 Genmaicha, also know as brown rice tea, is an exotic Japanese blend of sencha and brown rice. 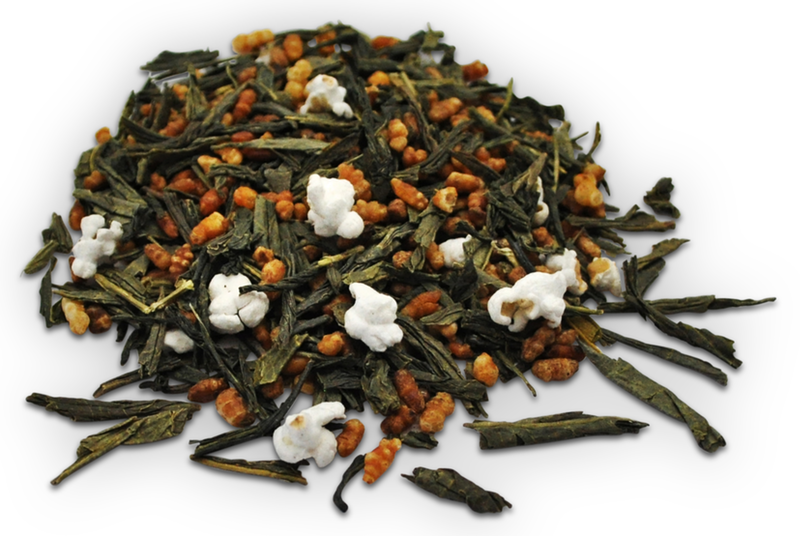 Our Organic Genmaicha produces a sweet, nutty and aromatic flavor. Best of all, it's lower in caffeine than other green tea. 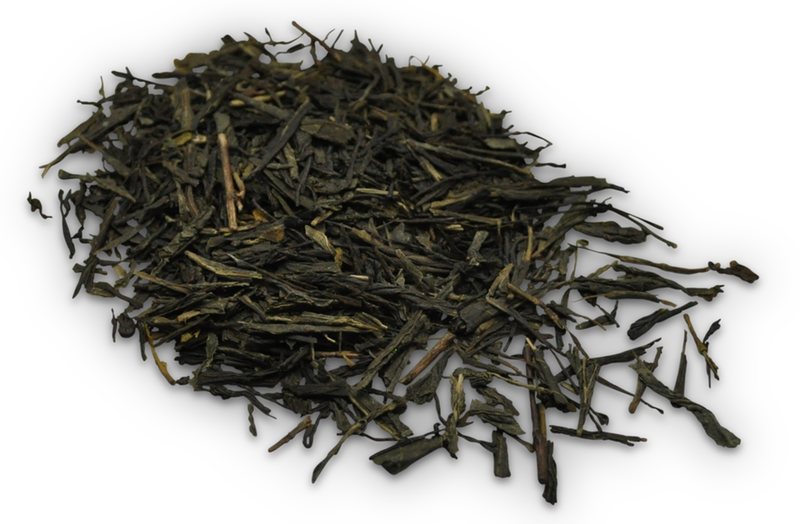 Our Organic Sencha is made from tender dark green leaves. When infused, it produces fresh and bright flavor, with a smooth aftertaste. 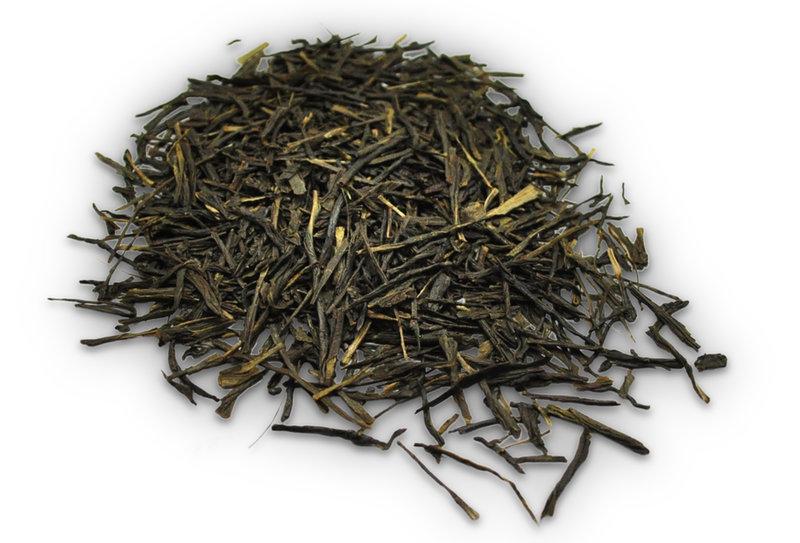 Our Organic Hojicha (roasted gren tea) is a lower caffeine green tea. 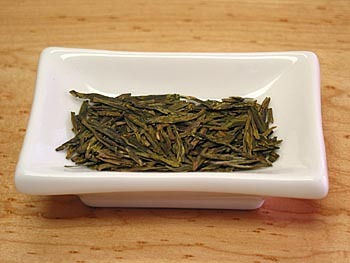 The golden brown color leaves are the result of roasting tea leaves over charcoals. 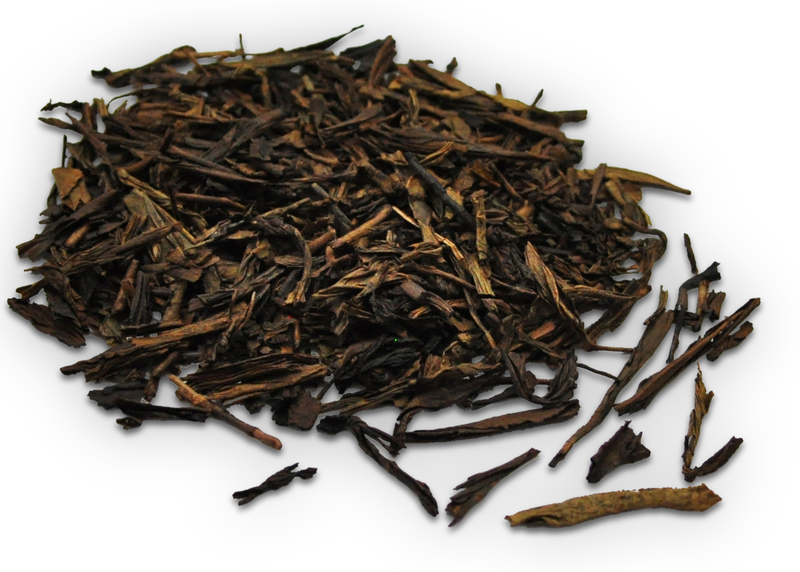 The unique brown leaves infuse to a nutty, toasty, mellow and mesquite taste. Great alternative to caffeine-free teas. 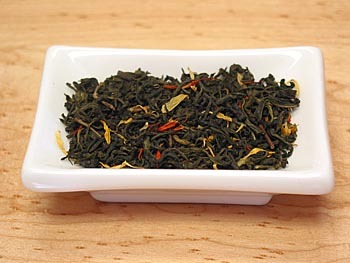 This tea is hand-processed and grown without the use of pesticides or chemical fertilizers. 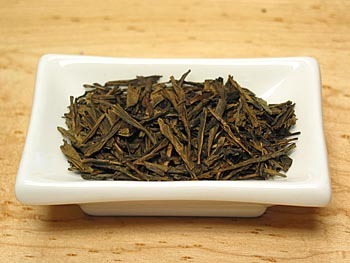 Hojicha (roasted gren tea) is a lower caffeine green tea. 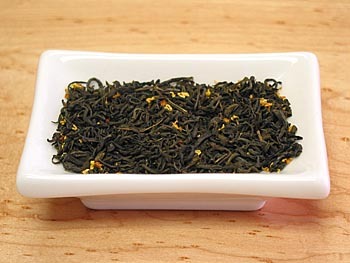 The golden brown color leaves are the result of roasting tea leaves over charcoals. The unique brown leaves infuse to a nutty, toasty, mellow and mesquite taste. Great alternative to caffeine-free teas. 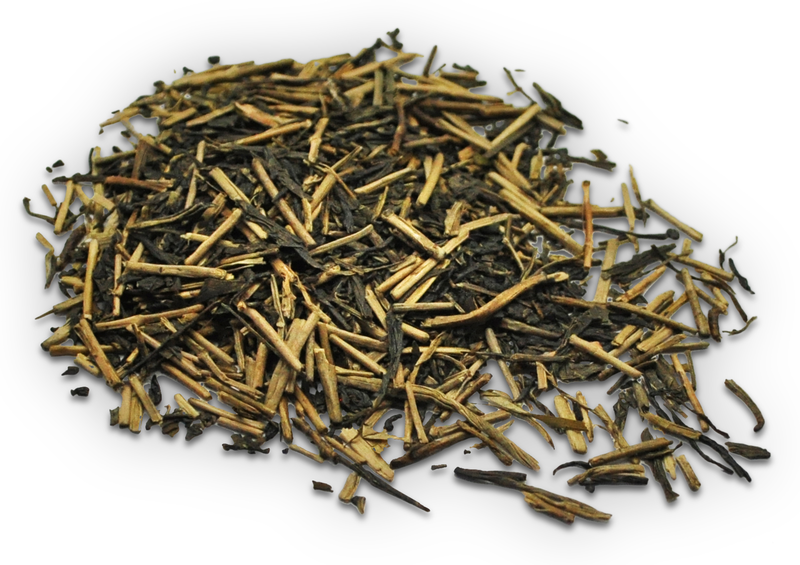 A popular Japanese tea, our Organic Kukicha is made from small white twigs of the tea bush and green tea leaves. Naturally Low in caffeine, it yields a smooth, delicate and nutty aroma. 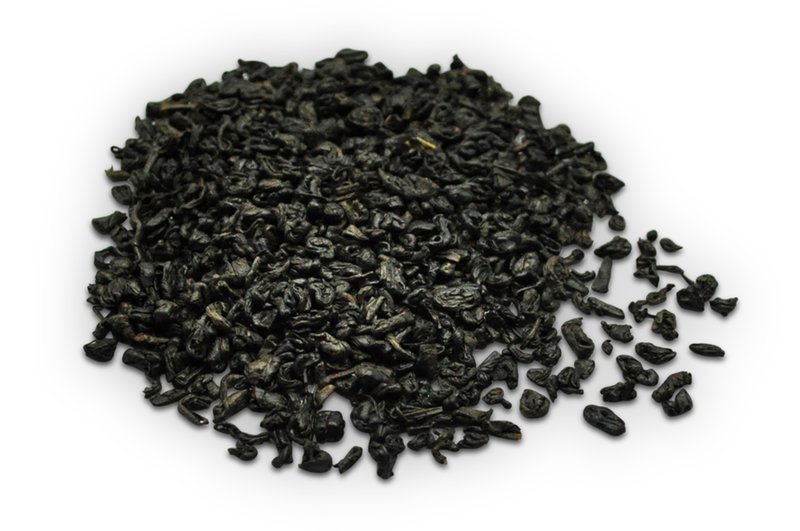 Known as Pearl Tea in China, Gunpowder tea is made from hand-rolled leaves into little pellets. 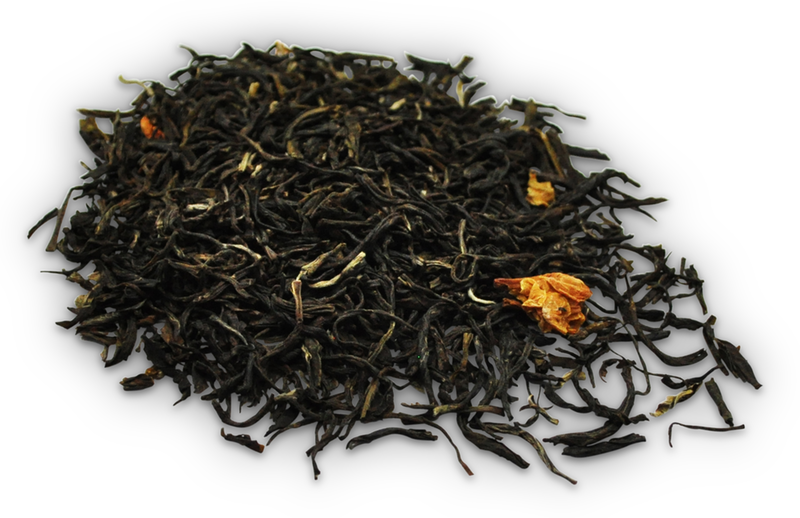 Our Gunpowder produces a full-bodied cup of tea with a touch of pleasant smoky flavor.